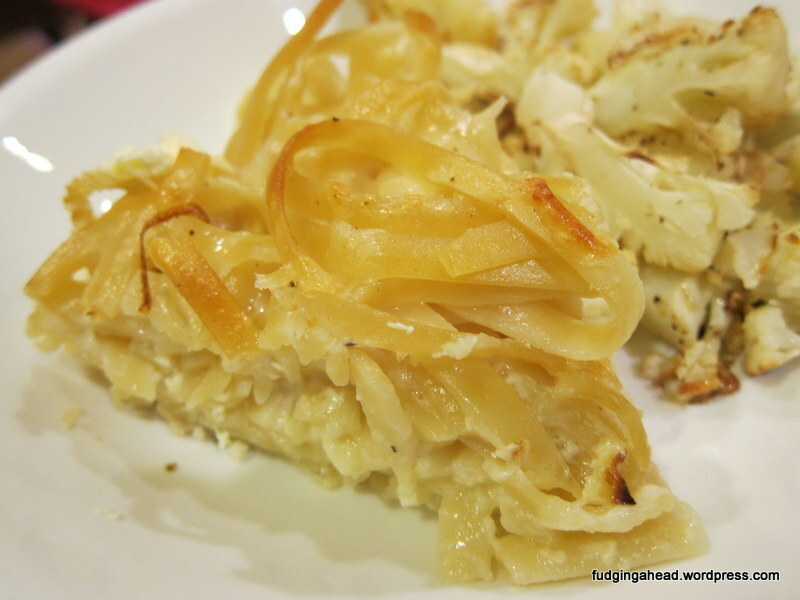 We also enjoyed how soft the inside of this pie was, while maintaining its shape. Almost souffle/custard-like. The top could have been crunchier if I had broiled it, but I was worried about overdoing it. Again, next time I will know better. I’m okay learning while making delicious dishes! 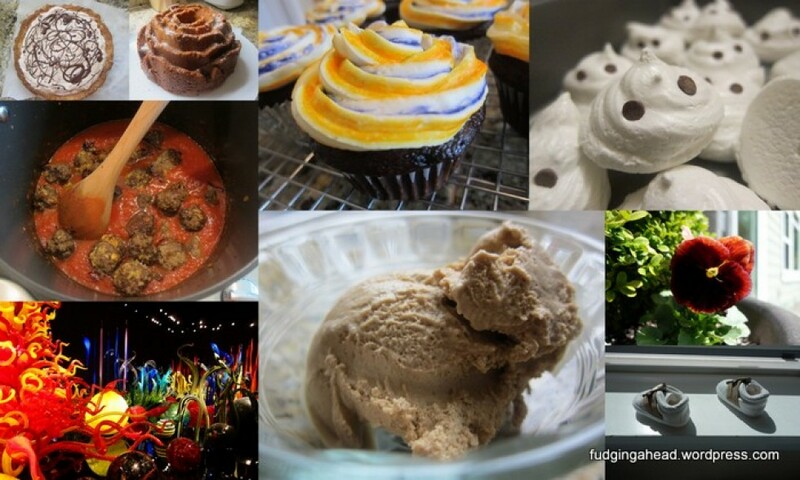 This is why I recommend the food processor. I didn’t realize how easy it would be to use for cheese. 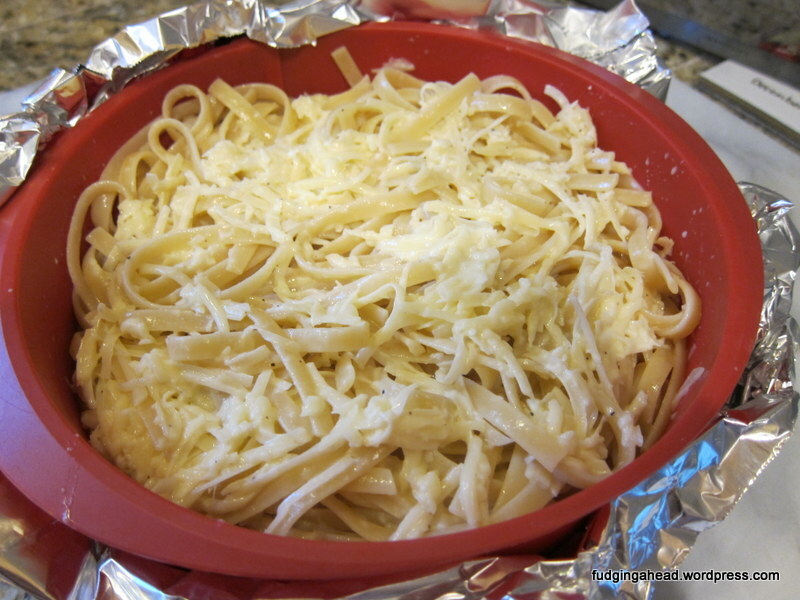 Cook the pasta until al dente, or just before, since it will cook more in the oven. Drain and set aside. Whisk together the eggs, milk, salt, and pepper in a large bowl. Stir in the cheeses, except for about 1/2 cup of each. Add the spaghetti and toss to coat. Pour it into the springform pan, then sprinkle the extra cheeses on top. Bake for 35-45 minutes (add more time if necessary) until the top is browned and a knife inserted into the center and turned slightly will not release any loose egg batter. You can broil for more browning, if desired. If you wish to have no browning and keep the pie softer without the crunchy top, you can cover it with foil while it bakes. Whisk together the eggs, milk, salt, and pepper in a large bowl. 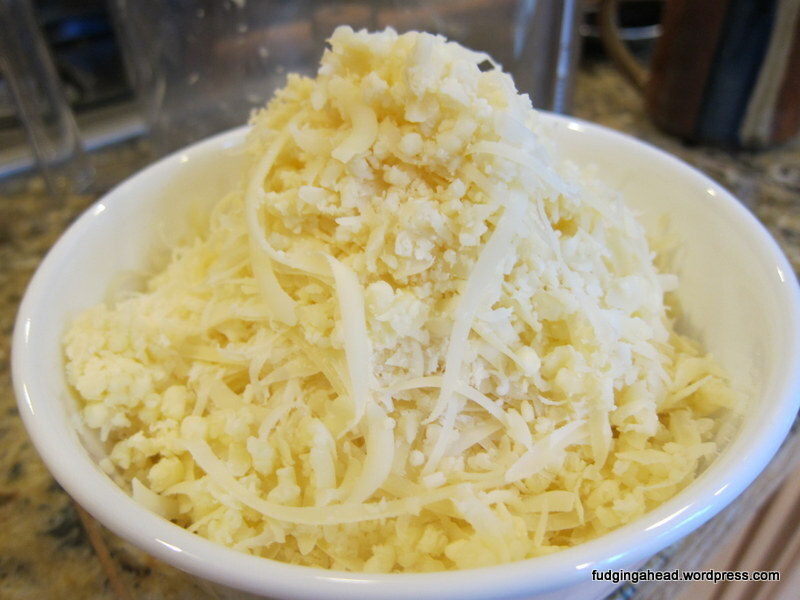 Stir in the cheeses, except for about 1/2 cup of each. Add the spaghetti and toss to coat. 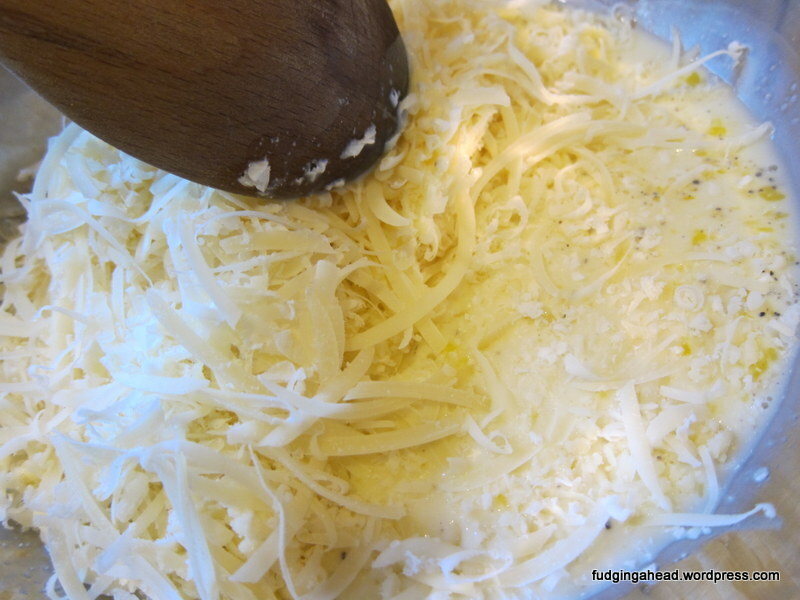 Pour it into the springform pan, then sprinkle the extra cheeses on top. Bake for 35-45 minutes (add more time if necessary) until the top is browned and a knife inserted into the center and turned slightly will not release any loose egg batter. You can broil for more browning, if desired. 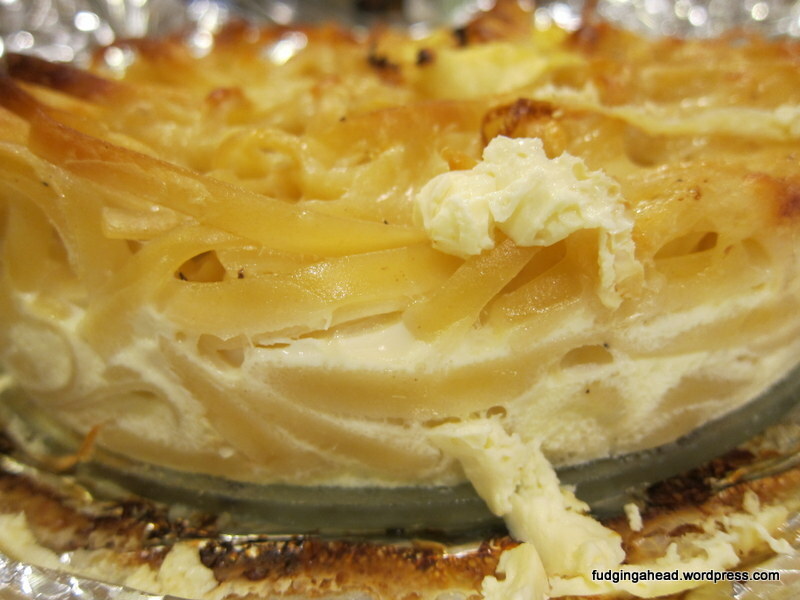 If you wish to have no browning and keep the pie softer without the crunchy top, you can cover it with foil while it bakes. 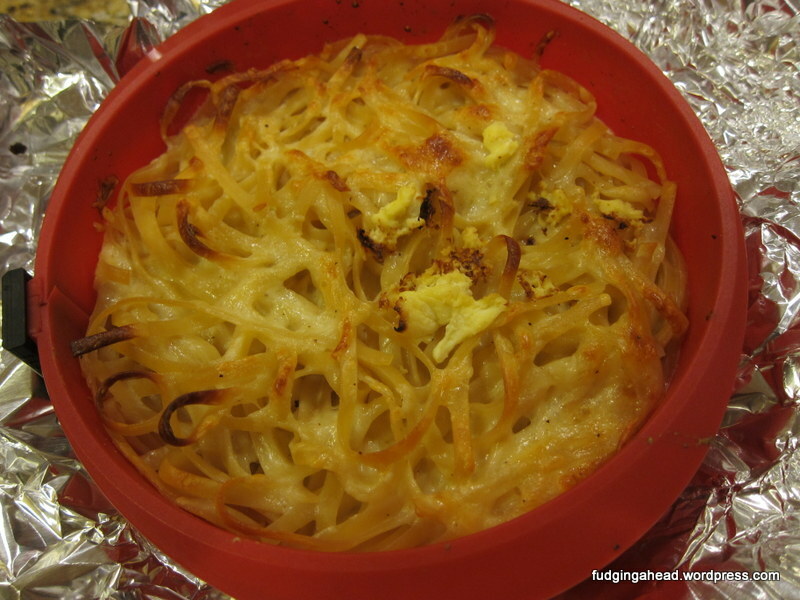 Like mac & cheese for grownups! (Though I still eat mac & cheese, & my kids are grownups).